Yesterday we launched Reading Well for mental health, our new scheme providing advice, information and support for people living mental health needs and their carers. The booklist covers self-help, psycho-education and memoir on a range of common feelings and experiences including stress, depression, anxiety, sleep problems and low self-esteem. Since its launch in 2013, the Reading Well programme has impacted the lives of over 778,000 people in the UK. The 2018 list will continue to help people to understand and manage their mental health and is penned by bestselling and highly-regarded authors including Matt Haig, Cathy Rentzenbrink, Sathnam Sanghera and Ruby Wax, as well as leaders in the field of mental health Professor Mark Williams, Dr Danny Penman and Dr Helen Kennerley. The expert-endorsed reads are available free in libraries across England. Approximately one in four people in the UK experience a mental health problem each year, and one in six people experienced a mental health need in the last week. There is enormous need for quality-assured health information and advice that supports people in understanding and managing their mental health and wellbeing. 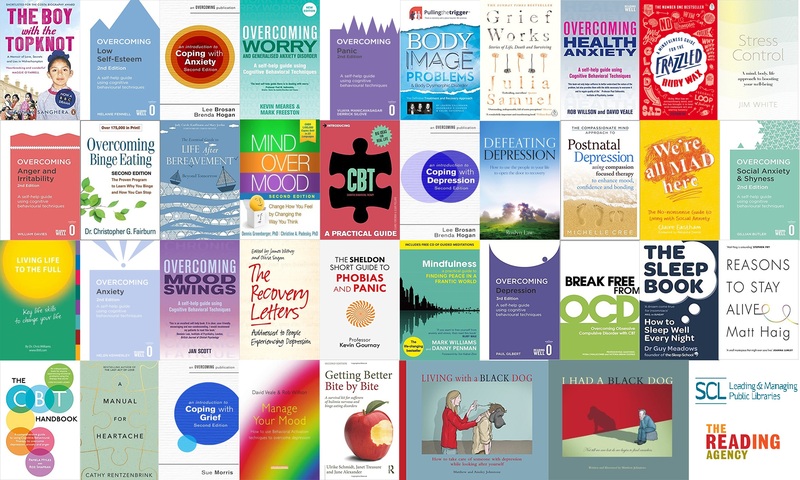 We developed the new booklist of 37 titles containing information, self-help and memoir with expert partners to offer guidance and support to those living with mental health needs and their carers. View the full list of titles. Reading Well is run as a partnership from The Reading Agency and the Society of Chief Librarians, with funding from Arts Council England and Wellcome. The new scheme is supported by a range of health organisations including Public Health England, The Royal College of General Practitioners and the National Association of Primary Care. You can find a full list of endorsing organisations here. Access supporting resources to help you run the scheme.